Microbes are the foundation upon which life on Earth depends: they set the boundaries of habitability for all plants and animals and create half of the oxygen we breathe. Ocean-dwelling microbes regulate the global climate and could hold the secrets to the origin of life. Put simply, we wouldn’t be here without microbes, yet most people don't realize how ubiquitous and important they are. The Micronauts project sought to build an emotional bridge over this gap. Microscopic creatures are, by definition, typically hidden from view, and the challenge of seeing them and perceiving their importance prevents emotional involvement and investment. 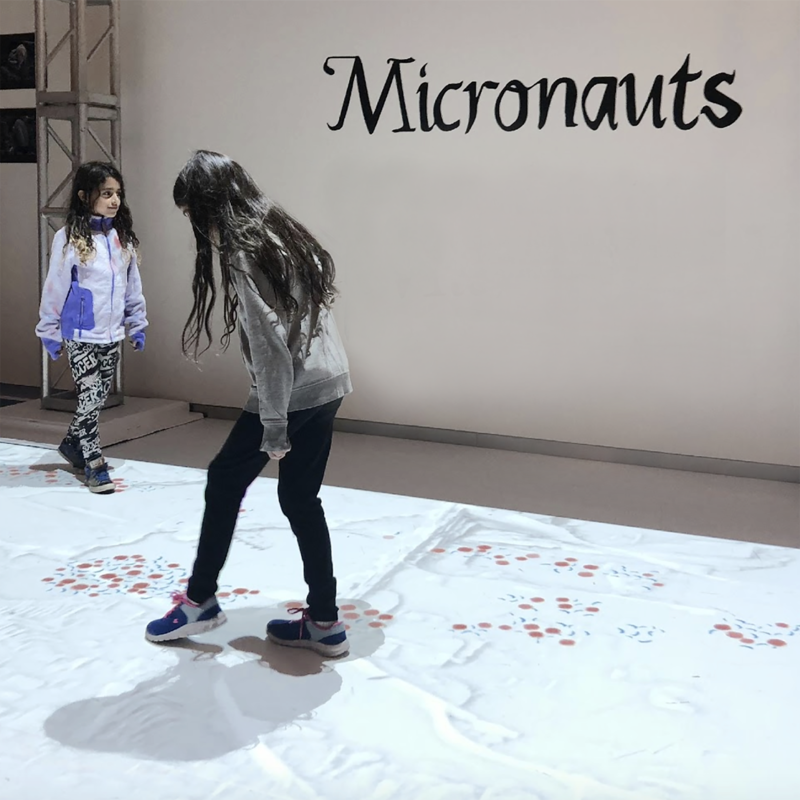 We built an interactive installation that invites people from a general audience to step into the microscopic world. Visitors who step into the interactive projection represent sources of food or light, which allow for the microorganisms to live and reproduce. The reproduction and death rates for the visualization are based on mathematical models generated from the analysis of samples from Cape Cod. This kind of interactive interface has a special appeal to introduce children to Science concepts that are more abstract or far from their everyday experience. 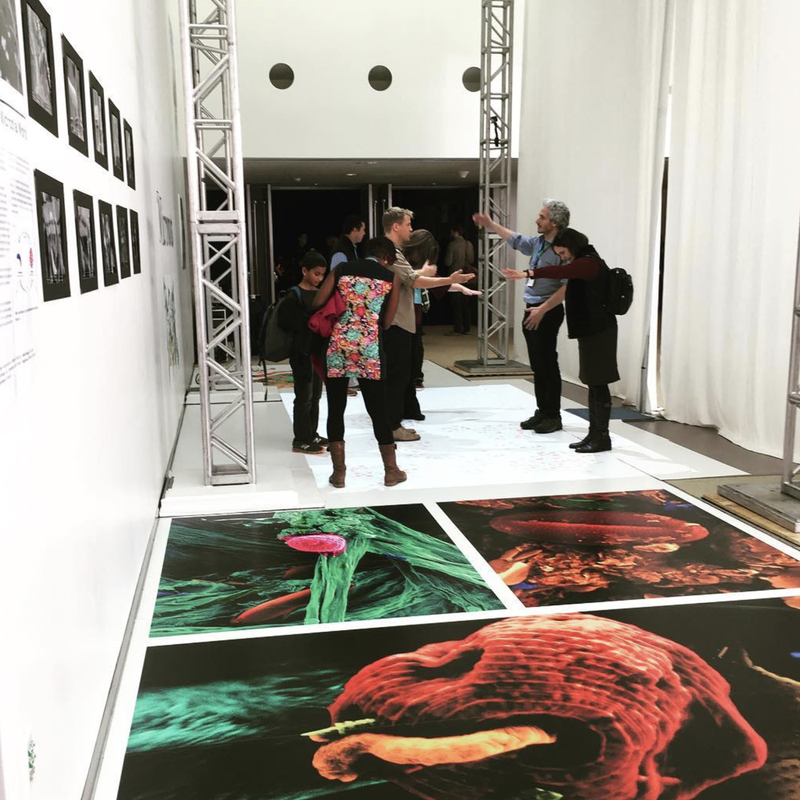 The exhibit happened during the 2018 National Ocean Exploration Forum on November 8 and 9, at the MIT Media Lab.